Palawan’s tranquil ambiance and spectacular sceneries are starting to attract Philippines’ elite travelers. And like many other dream destinations around the world, Palawan also has premier beach resorts with luxury facilities and exceptional service & hospitality. Dear citizens of the Philippines, why take long hours of flight and go out of the country to experience a luxurious yet exotic vacation when you can just go to Palawan where the “exotic” feel is already present and has comfortable luxurious resorts that could be as classy as those luxury hotels and beach resorts that you see in the movies or in lifestyle TV shows and magazines? Why go far when you already have A place that is being flocked by tourists – even celebrities – during summer just to bask in its crystalline waters and lay on its white sands? 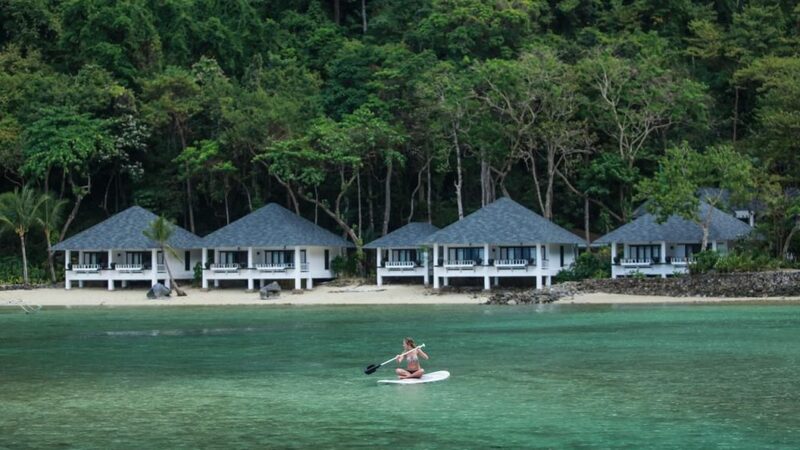 Here are some of Palawan’s luxurious accommodations you that you could choose from! Ampanpulo is an exclusive island resort that is part of the group Aman Resorts. It’s located in the remote Pamalican Island in the Cuyo Archipelago. 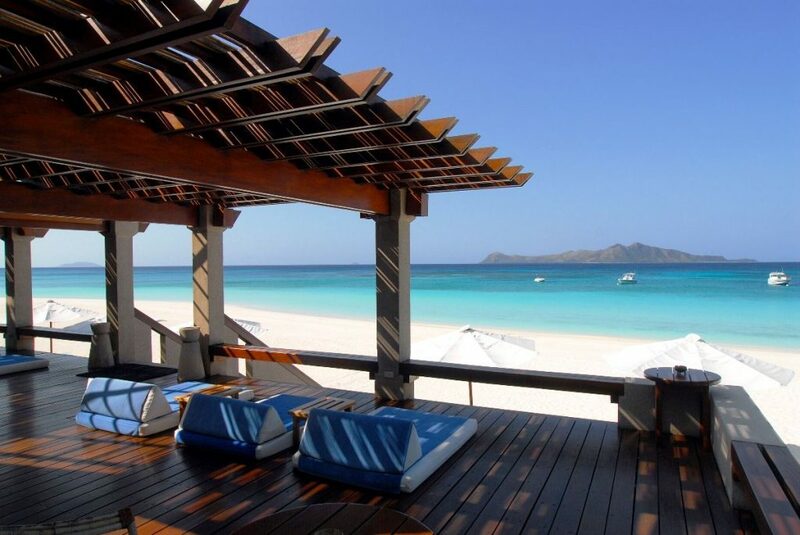 Amanpulo is a prominent destination for high profile individuals who are looking for a totally private getaway, especially celebrities who are just tired of paparazzi following them everywhere they go just to get that one jackpot shot. This island resort has luxurious villas and casitas – each with direct beach access via sandy footpaths, magnificent views of the turquoise sea from the hillside, or seclusion within the forest canopy. 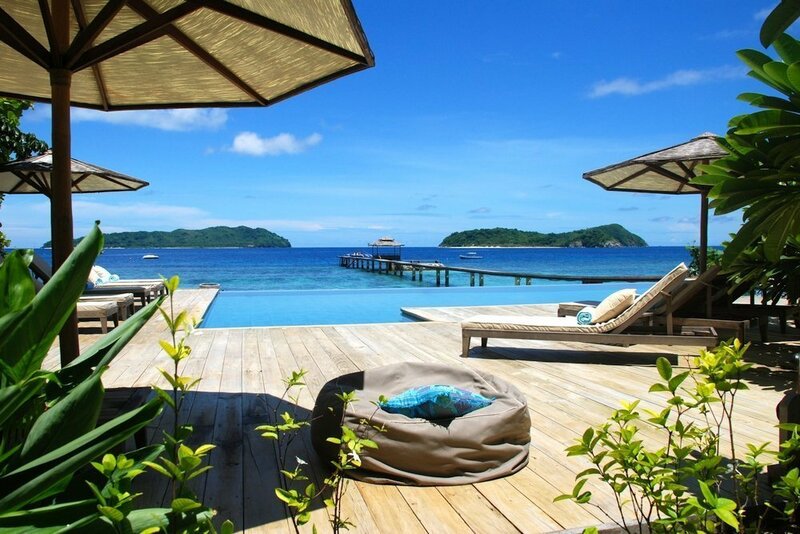 Lagen island resort is a luxury property in El Nido Bacuit Bay. It’s nestled between a lush four-hectare forest and a calm, shallow lagoon, an ideal destination for those seeking a relaxing holiday in a private island. Lagen has Water Cottages built on stilts above the water, and Beachfront Cottages with a panoramic view of the cove. Apulit Island Resort located in Taytay, offers exciting and enriching adventures in an idyllic tropical paradise setting of an island-resort. Taytay provides a perfect getaway for those seeking a tropical paradise. The resort lies within an unspoiled cove with an expanded white sandy beach lined with coconut palm trees. The cottages are all built on stilts, perched above the sea with an unobstructed view of Palawan’s azure Taytay Bay, surrounding islands, and dramatic limestone cliffs. Coron has begun garnering attention thanks in part to its wonderful sceneries and its rich marine environment. Two Seasons Coron Island Resort and Spa is a distinct addition to Coron and a smart choice for travelers. This 5-star eco-friendly accommodation just a scenic boat ride from Coron Town, is located on the beautiful Malaroyroy Peninsula in Bulalacao Island. The resort offers an array of six bungalow-style Palawan accommodations spread among the island’s lush tropical gardens, with easy access to the beach. Blending natural materials and high ceilings, with the warmth of modern Filipino tropical style and design, each room provides a comfortable sanctuary throughout the stay. 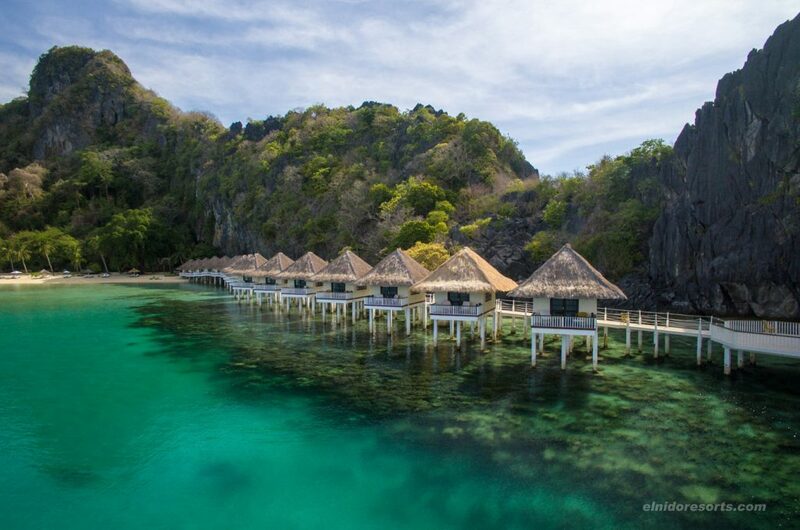 The Huma Island Resort and Spa is another 5-star resort in Coron that surrounded by islets and blessed with abundant marine life, scenic beaches, and natural greenery. This private holiday retreat charms travellers who seek adventure, romance, and a blissful escape from the ordinary. Water Villas rise on stilts above the water and are accessed via causeways that encircles the resort, and Beach Villas have a front door that opens directly onto pristine waters. Want an island that you can rent all for yourself but still want to be pampered by the staff and still be able to have a great time with nature? Ariara Island is the best place to go! Ariara Island is the ultimate “off the beaten track” destination hidden in an untouched corner of Palawan. This private paradise can be yours to share with whom you choose and no-one else! You will have the island’s staff to attend to you during your stay to assure that you will have the best experience ever. Due to its remote location, this part of Palawan is totally untouched by any pollutants, development (aside from the accommodation facilities), and tourism. Ariara and its surrounding waters are a sanctuary for an enormous diversity of wildlife both those found on land and under the sea. Dos Palmas Island Resort and Spa can most probably be considered as one of the oldest yet a beautiful place to stay when in Palawan. Dos Palmas Island Resort and Spa is located on a private island in Honda Bay, northeast of Puerto Princesa. The area has a very rich marine ecosystem with hectares of mangroves and forest and beautiful coral reefs surrounding the island. The resort offers a choice of the Bay Cottage located in the shallow waters or the Beach Villa on the sand. 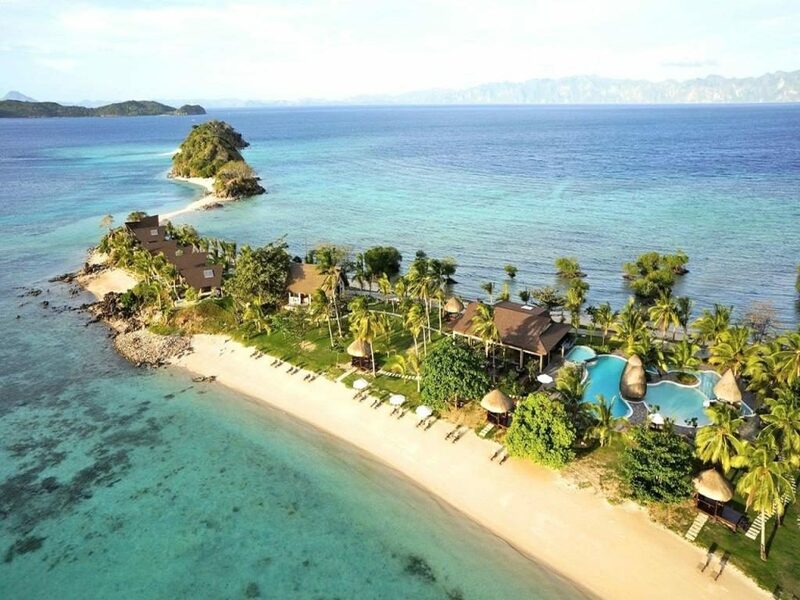 El Rio Y Mar Resort is a charming beachfront property, located on Busuanga Island. It offers picturesque views of the calming blue waters, beautiful bay, and tropical vegetation. Each rooms are located beachfront and equipped with modern facilities. With its unique environment, El Rio Y Mar Resort offers a romantic ambience combined with the serenity and beauty of the nature. Princesa Garden Island Resort and Spa is located right at the heart of the City of Puerto Princesa. Guests can explore and enjoy the attractions and landmarks that the city has to offer. Princesa Garden Island Resort and Spa is home to rooms and suites – each tastefully furnished and equipped with modern facilities. The resort has a huge outdoor pool and a complete list of recreational facilities. Sheridan Beach Resort and Spa is the best place to stay after a day exploring the Underground River. Strategically located along Sabang beach in the northern part of Puerto Princesa, home to beautiful mountains and lush rainforests, just few hundred meters away from the Underground River. Boasting 95 spacious guestrooms and suites, all are tastefully furnished and fully equipped with modern amenities. The resort also offers a wide range of facilities such as a swimming pool, fitness center, and spa. 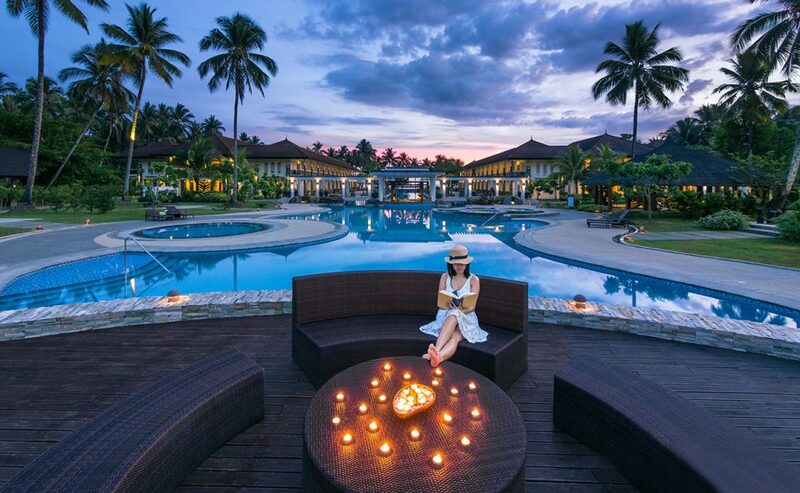 Sheridan Beach Resort and Spa offers guests world-class luxury and quality services in hospitality which has made this Sheridan property a top destination among accommodations in Palawan. Astoria Palawan is a five-hectare beachfront resort about 1 hour drive away from Puerto Princesa. The property is the brand’s nod to the natural charm of Palawan. That is why you can expect nothing less than the perfect quiet escape away from the city. Besides reconnecting you with nature, you can also find fun and adventure. The resort features a 39-meter infinity pool, a recreation pavilion with karaoke and games, an in-house restaurant and bar and a Waterpark. Sometimes, even the most famous celebrities need to take a break, everybody does! Right? And in the past years, Palawan has become one of the ultimate celebrity holiday destinations. Palawan is a top spot for local and international celebrities and VIP, even big names from Hollywood! Yes, you read it right, Hollywood. Daughter of former beauty queen Ms. Gloria Diaz, Isabelle Daza is Filipino actress, television host and model. In an interview she said that Palawan is definitely her favorite summer spot. She even share her passion for Palawan on Instagram, posting a photo captioned: Just what I needed for the weekend. Love how quiet it is here in Palawan. Filipino actress and beauty pageant, Bianca Manalo recently spent her summer at Amanpulo in Palawan. She shared in her Instagram a photo of her in a bikini with big smiles that show how much fun she had in Palawan. Similar to Bianca Manalo, Filipino-Australian actress, television host and model, Anne Curtis also spent her short vacation in Amanpulo. She posted a photo on Instagram of her enjoying the crystalline waters. The main casts of the Hollywood film Bourne Legacy made news when they decided to shoot many of the remaining scenes for the film in the Philippines. In the last shot, a short glimpse showed the characters being played by Jeremy and Rachel enjoying the serene and calm water of Palawan while riding a boat. In an interview, Weisz likened Palawan to Emerald City, a fictional town where the capital city of the Land of Oz may be found. According to the interview, Weisz said: Palawan is more like the Emerald City. It’s like a fantasy. Maybe it’s real to you but for me, it looked like a fantasy place. Jeremy Renner on the other hand, also expressed how amazed he is of Palawan: It is one of the most beautiful islands I’ve ever seen…It’s gorgeous! Shay Mitchell is one of the main casts of the famous series Pretty Little Liars. In 2013, Mitchell spent her much-deserved vacation in Palawan. In one of her posts on her Tumblr account, she said: Fantastic vistas, incredible food, luxurious accommodations, and staff who are warm, professional and would cater to your every wish. In a word, “paradise”. Troian Bellisario is also part of the cast of Pretty Little Liars and was spotted in Palawan years back along with her equally gorgeous beau Patrick Adams. They had to promote their series at that time and decided to visit Palawan and catch a glimpse of its crystal clear waters and its fine white sands. Due to the secrecy of the said trip, Troian did not name Palawan in any of her posts but her beau posted: Not leaving. Not ever. Another Pretty Little Liars star is Lucy Hale who has come to Palawan. According to some interviews, Hale was very fascinated by the island that she cannot wait to come back. Its tranquil ambiance was also a big plus for Hale. Even these Pretty Little Liars cannot lie about the beauty laid upon them by the island of Palawan! Yes, the world’s richest man, American business magnate, inventor, philanthropist, and the founder of Microsoft, Bill Gates went to Palawan together with his wife Melinda Gates and two of their three kids. Gates went for a brief vacation in Palawan and stayed at Amanpulo Resort and wanted to check out an island in El Nido that he wanted to invest in. Gates only spent three days in Palawan and then flew back to Manila to check on some matters. Aside from this prominent people, celebrities such as Naomi Campbell, Robert De Niro, Tom Cruise, Mariah Carey, and Michael Jackson were also reported to have visited the province but their accommodations were not revealed due to the secrecy of the resorts, following the wishes of their guests.